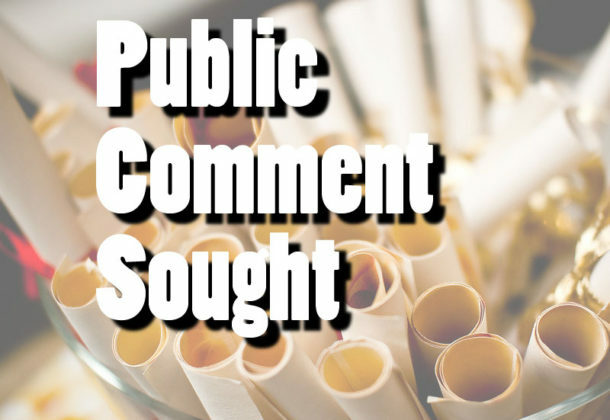 Citizens of St. Mary’s County are invited to attend the Recreation and Parks Citizen Advisory Board’s February meeting and provide public comment on a Master Plan project targeted for the Lexington Manor property, located on Coral Drive, next to Lancaster Park. The meeting, originally scheduled for Feb. 7, 2019, has been rescheduled for Thursday, Feb. 21, at 6 pm. The meeting will be held in the commissioners meeting room inside the Chesapeake Building at 41770 Baldridge St. in Leonardtown. The Landscape Architect firm Lardner Klein & Associates has been chosen to design and develop the master plan. An overview of the project will be shown by Lardner Klein staff before the meeting is opened for public comment. Conduct a site investigation at the property to determine current conditions. Provide site analysis of site topography, a tree survey, street frontage and community connections. Define permissible and non-permitted uses. In addition to meetings with county staff, the consultant will offer opportunities for public consultation, including presentations at two public meetings. The firm will prepare a corresponding written narrative document and identify key findings and a vision statement. The statement will have design objectives, design philosophy, park elements, and recommended treatments, as well as ensuring sustainability and a healthy carbon footprint. There also will be mobility and accessibility, a civil engineering summary, and preliminary cost estimates. The 2017 approved Land Preservation, Parks and Recreation Plan included a recommendation to make changes to the trails and old streets in the Lancaster Park south and north parcel, formerly known as the Flat Tops, to make it ideal for hiking, biking, walking, and inline skating and for Arts in the Park events. The Lexington Park Development District master plan, which was approved Feb. 9, 2016, shows the use of the property as public open space. In September 2017, Recreation and Parks Department staff met with Community Development Corporation (CDC) and Unified Committee on Afro-American Contributions (UCAC) to talk about improvements like finishing bicycle trails and pedestrian walkways on the former Lexington Manor North Parcel in Lexington Park. More planning meetings were held on July 26, Aug. 16, and Sept. 6, 2018, with UCAC, CDC, and R&P staff. The Recreation and Parks Board was briefed on the project Sept. 6, 2018, and provided concurrence with the scope of work during the R&P Board meeting of Oct. 4. The county commissioners received a briefing on the project at their Oct. 16, 2018, meeting. Citizens who want to obtain more information can contact Arthur Shepherd, Recreation and Parks director, at arthur.shepherd@stmarysmd.com or call 301-475-4200, ext. 71812.